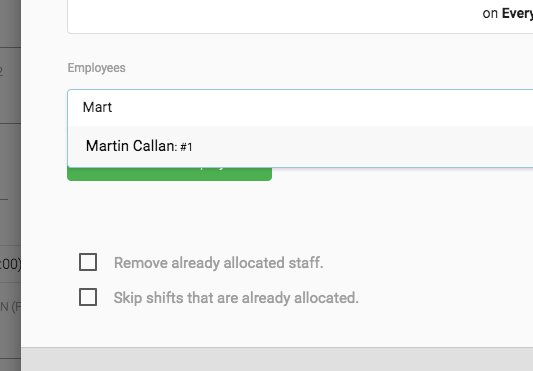 The Employee Allocation Dropdown is actually a Search Tool with recently used Employees available in the Dropdown. The reason for this is, that if you have 1000's of employees, than you defintely do not want to scroll through a dropdown picker. Simply typing the employees name, will search the account and surface all employees that match, Select the Employee you need and allocate.